Fashion is what you’re offered four times a year. Style is what YOU pick out of that fashion. Autumn (fall as its known in America) is here and its gorgeous! I have always loved the start of March (apart from it for being my birthday month), and the season of autumn. Just the color of the leaves on the trees as their changing, the flowers, seems to be more butterflies: just really the feel of autumn in the air. Yes I know it means that summer is officially over but the amazing thing about autumn is that this is when the best fashion is coming! Don’t worry, we will still have a lot of hot days (thank you March) but it does mean that the nights are starting to get cooler and this is cue for the awesome autumn outfits that we will be able to wear. Just keeping remembering that ladies! Here are a selection of autumn outfits that I’ve chosen that you can wear now, and in the coming months. Also they are pieces that you will still be able to wear for a few years yet (aka as classic pieces). So come with me, and let’s go shopping! 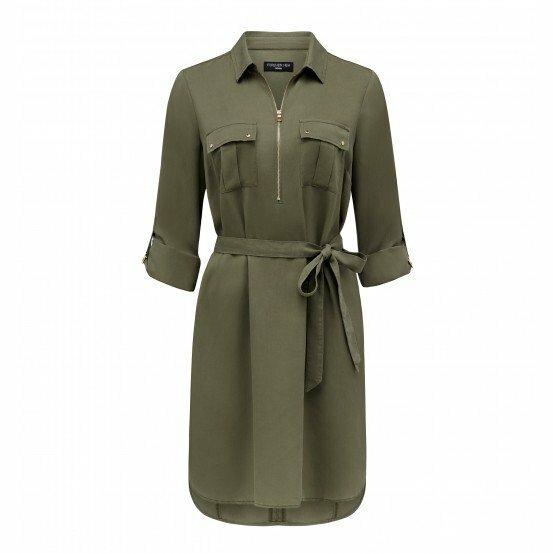 This dress is a mixture of coolness and style, in the returning colour trend, khaki. It comes with a front centre zip placket, with long adjustable sleeves with d-ring hardware tab and a self-tie belt (which can be worn either on its own). I would suggest to wear this dress with beige or tan heels (if wearing it for evening, I would actually pair it up with lace up heels) and gold jewellery (to enhance the khaki colour). This dress can be worn casually during the day or high styled for the evening. A definite dress to be added to your collection. The bohemian trend continues on, and really isn’t going anywhere anytime soon. 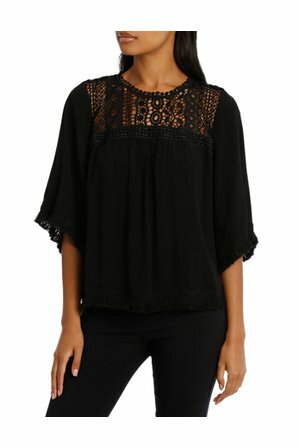 This top compliments any outfit that you add to it. 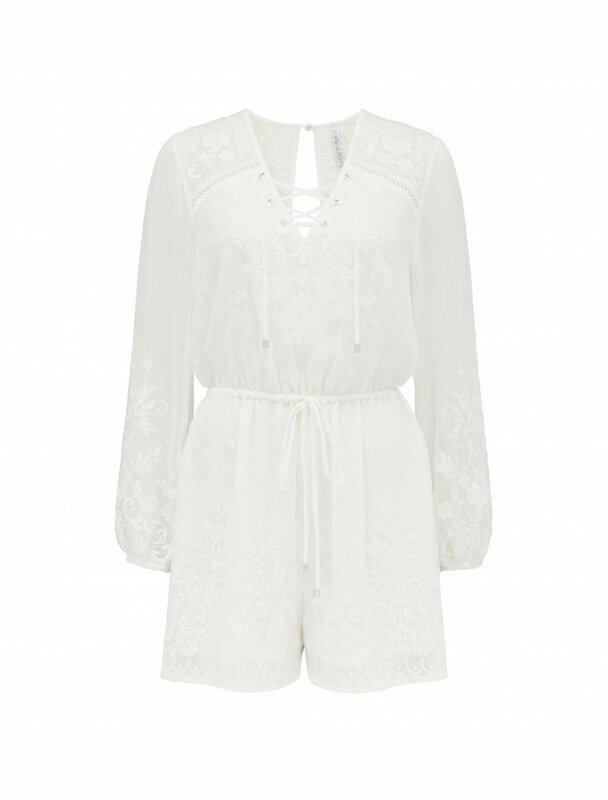 The detailed embroidery is featured on the front, with the ends of the shorts sleeve inter-woven with detailed embroidery to give it a boho chic vibe. I definitely would add this gorgeous top with skinny ripped jeans and a pair of either lace-up heels or wedges. Pure understated chic laid back style. This sleeveless leather look dress is a guarantee to make a statement as soon as you walk through any door. It will turn heads! It will hug the curves of your body, and make you look va-va-voom! 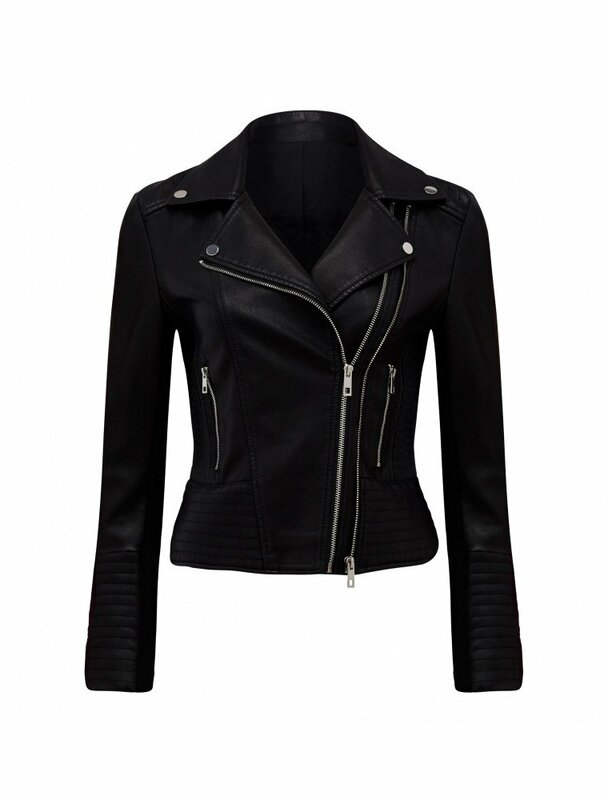 It’s a combination of a few different fabrics, it has a leather look at the front and an exposed zip at the back. The dress also has a front thigh high front split, giving it a rock & roll chic look and it is truly a must for any wardrobe! Ripped and/or distressed jeans are here to stay. End of story. This season the skinny cropped jeans are in style and these jeans are mid-blue blue pants with five functional pockets, button and fly closure. These jeans go with anything and can be worn from day to night in any type of style. The bomber and biker jackets are back in season this year and this jacket adds a rock edge to any outfit. It’s a cotton denim blend with a short front collar and long sleeves, and is just so comfortable. I would wear this over a t-shirt or beautiful top with jeans and heels, with a small strappy over the shoulder handbag. It can be worn for either day or night. I’ve got three different sorts of bomber jackets. They are just such a cool style item to have in your wardrobe. I have always been a big fan of the jumpsuits/play-suits, so I am certainly loving all the different varieties and styles that they are now coming out. Jumpsuits/playsuits are having another resurgence this year. This one is perfect for night wear when you’re either going out for dinner or even out to the club with the girls. It is a definite must have for any wardrobe. Just make sure to keep it simple and don’t overwhelm it with too many accessories, and jewellery. I would suggest pairing it with some strappy high heels or wedges and large hoop earrings (a la Jennifer Lopez!) for that laidback cool glamour style. So these are some of my favourite outfit recommendations for the start of autumn. Keep a look out for more autumn inspired outfit posts coming from me over the coming weeks, I’m so excited to share it all with you xoxo.